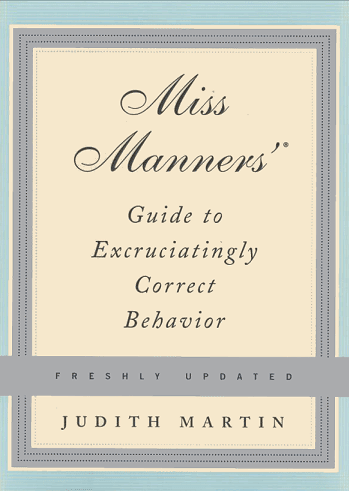 Good manners: use 'em! I ride a shuttle bus to and from work every day, to an outlying parking lot. This morning, the two gentlemen that were at the same stop as I stepped aside to allow me to board first. Apparently, somewhere in their up-bringing, someone taught them "ladies first". No, not because we are weaker, or deserve better seating, or have to get off our high-heeled feet more quickly. Good manners are about recognizing the humanity of another, acknowledging the "other", making him or her feel at ease and allowing another to precede you out of deference, respect, and well, good manners. "Do unto others...."